I’ve written previously about this site, between Haxby Road and the Foss. It’s the site of a demolished factory, a ‘brownfield’ site, but it’s really very green around here, close to open space, mature trees, the river Foss, and sports pitches. Further out of town than Bootham Park (which I’ve also written about a lot in the past), but in a good place, I think. – Not located within a flood zone. – Proposed scheme will benefit from existing transport links. 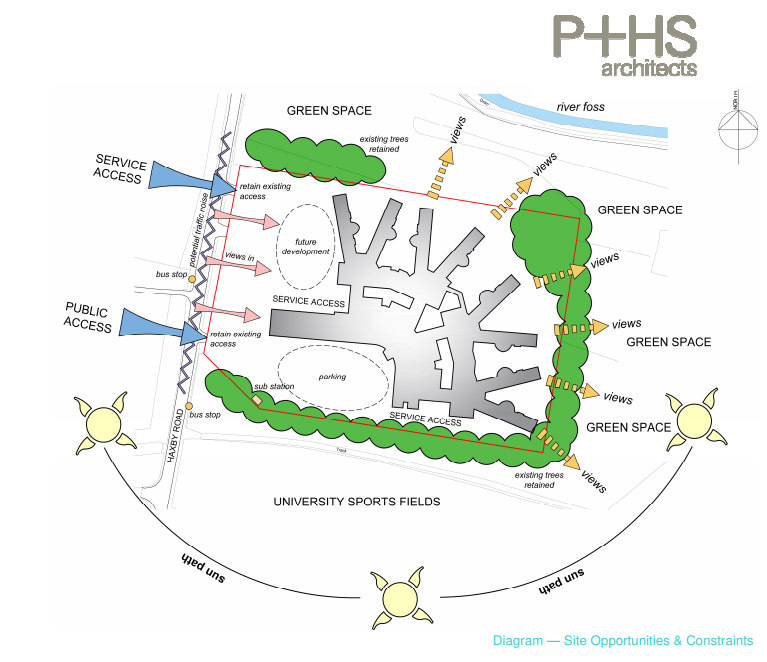 – The existing access points are ideally situated to separating public and service access. – Existing specimen trees will be retained and protected where possible to provide maturity to the site landscaping. – Views out to the surrounding countryside. 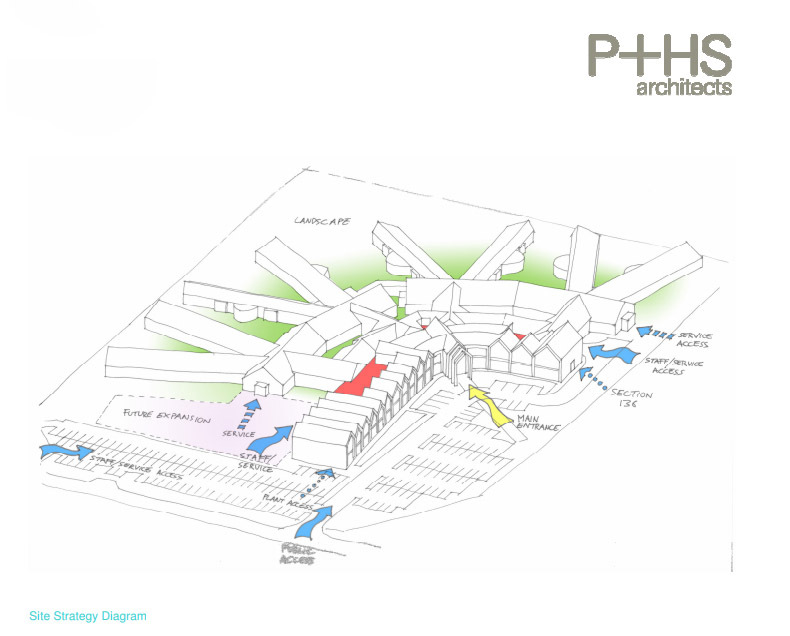 – Planning of the new building can maximise the relationship between internal and external spaces. The document includes images of what the buildings would look like (including the image at the top of this page). York’s history and the landscape setting have informed the architectural response. The proposals show a contemporary interpretation of a street `scape. The entrance façade is a representation of the scale & texture of York, illustrating the city’s character and distinctiveness. A radiating plan layout, varying ridge heights and the material palette, express the character and personality of the project and demonstrate this reminiscence of historical context in three dimensions. 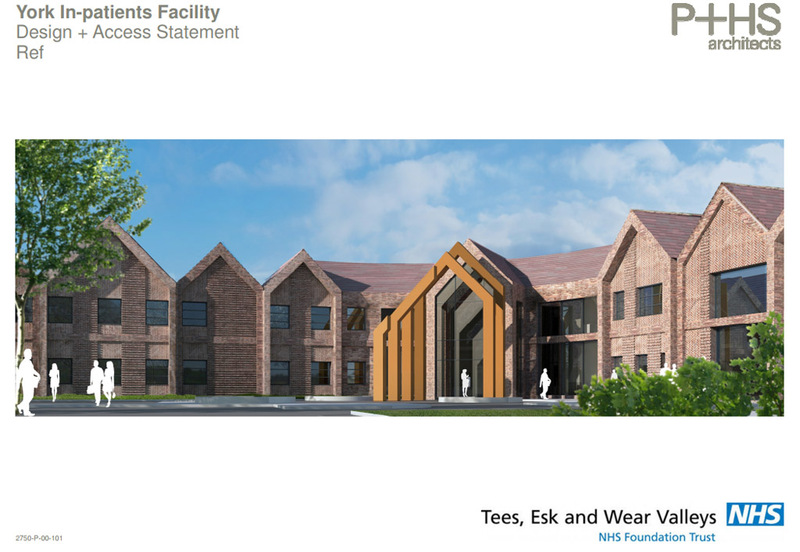 The entrance elevation is a modular composition inspired by traditional York architecture. Features that reflect the local idiom are used throughout to echo the historical importance of the buildings context. 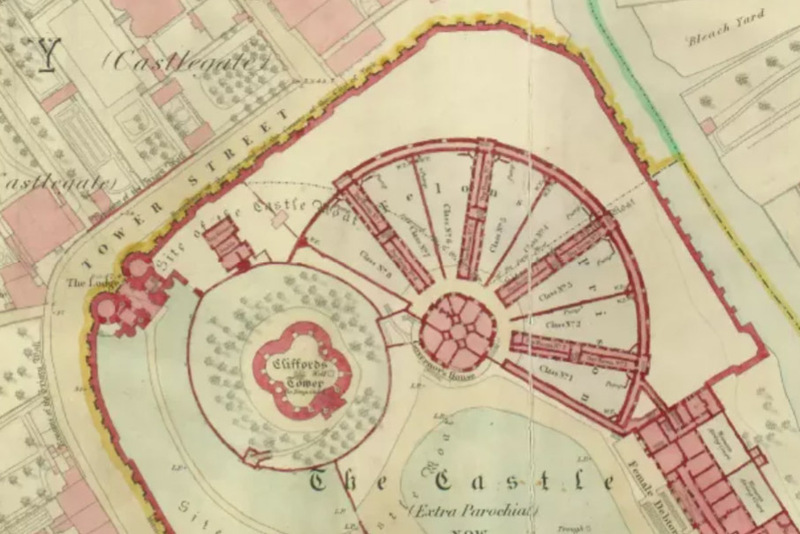 It’s an unfortunate historical association — but as the city’s history has been highlighted I feel I have to mention it — the proposed ‘radiating plan layout’ reminds me of the photos and plans I’ve seen of the prison buildings that once occupied the area now known as Castle car park. The private and intimate areas of the building reach out into the landscape to the north and east to make the most of the views to the surrounding landscape. So not prison-like at all. Well, I hope not. More could be said, but I don’t want to repeat myself. Bootham Park has closed and this planning application is what’s here now, for us to comment on if we’d like to. By Lisa @YorkStories • 24 October 2017 Buildings, Planning To link to this page's proper location please use the > permalink.